James Woudhuysen led consulting in IT at the Henley Centre for Forecasting in the City of London. There his clients included AT&T, BT, Compaq, IBM, Bull, Motorola, Unisys and US West. Prior to that he was at Fitch plc, then the world’s largest firm of design consultants, where clients included Electrolux, Forte Group, Glasgow Development Agency, Groupe Bull, John Lewis Partnership, Kingfisher, London Transport and Midland Bank. He wrote about chemical and biological weapons for The Economist in 1978, completed an instruction manual for word processing in 1983, led a multi-client study on e-commerce in 1988 and, in 1993, proposed that the Internet be delivered over TV. 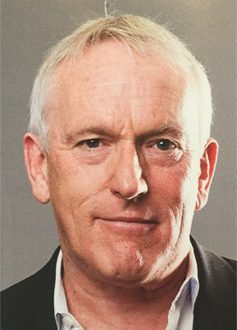 From 1995 to 1997, James Woudhuysen was Manager, Worldwide Market Intelligence at Philips Sound and Vision in the Netherlands – the largest division in the Philips corporate empire. James led an international research team of 32 people, dedicated to forecasting the future of consumer electronics and Information Technology, especially from the consumer’s perspective. James was nominated Motivator of the Year 1996, by the 265,000 employees at Philips. He was director, product designers at Seymour Powell from 1997 to 2001.